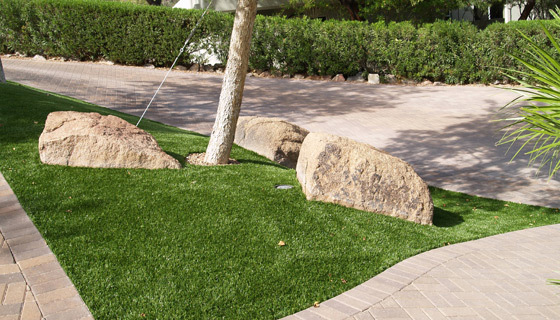 Save maintenance and water costs with artificial grass landscaping solutions at your Arizona business. 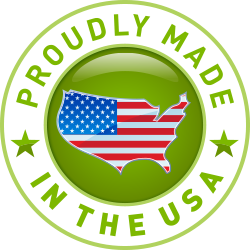 US Grass and Greens designs & installs synthetic turf & commercial golf greens. US Grass and Greens is the choice for providing your commercial setting with the best synthetic turf amenities available. Golf courses, office complexes, churches, shopping centers, street medians, child care facilities, schools, dog kennels, – you name it, we will install an artificial putting green or synthetic grass amenity wherever it’s possible! 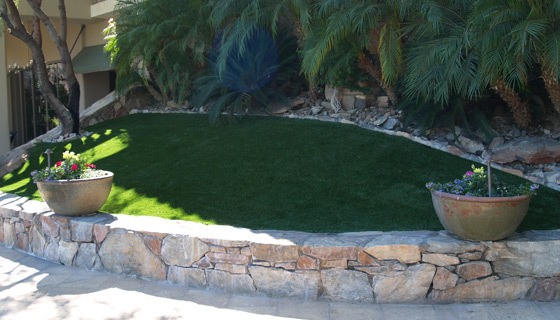 Synthetic lawns have become more and more popular for commercial applications over the past decade. Businesses are realizing the many benefits of synthetic grass as part of their landscaping; to have continual, perfectly green artificial lawn areas with minimal upkeep. 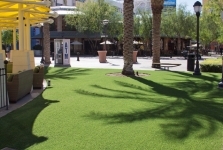 With persistent maintenance costs, businesses in all regions are realizing they will gain from having synthetic turf amenities and are replacing real grass with artificial lawn turfs that replicate the look and feel of real grass that not only beautifies their properties, it also cuts their maintenance expenses as well. Many municipalities and water conservation organizations have given the “thumbs up” to synthetic turf as a great way to conserve water. 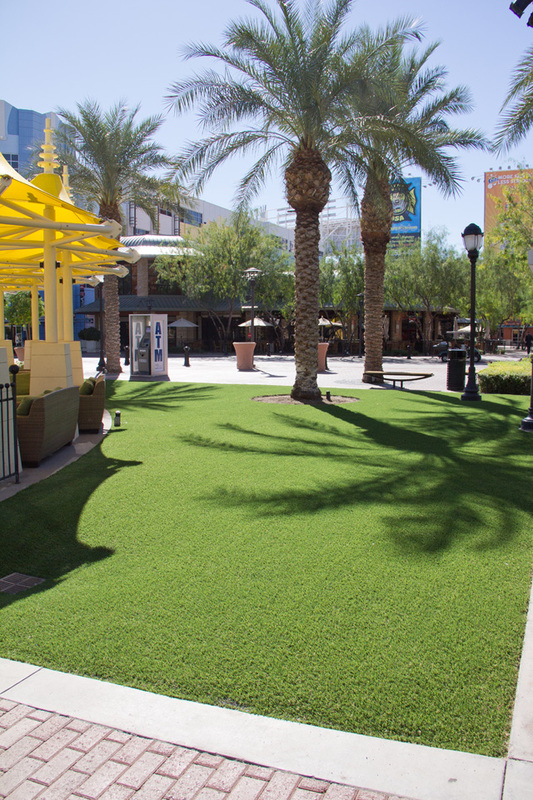 Government agencies, cities and businesses alike are incorporating synthetic turf into new or existing properties to enhance their appearances, be water conservation conscience and to reduce the amount of residual maintenance costs associated with real grass. Golf courses are quickly becoming the first in their areas to install synthetic turf tee lines, synthetic turf putting greens, and synthetic turf golf greens. Our system of using only the best products available are proving to golfers and golf enthusiasts that their game can be simulated almost identically on an artificial putting green by US Grass and Greens. Find out what it’s all about. Contact US Grass and Greens today to learn how your establishment can benefit from.